Powerhouse fitness brand Peloton is about to get a new neighbor. 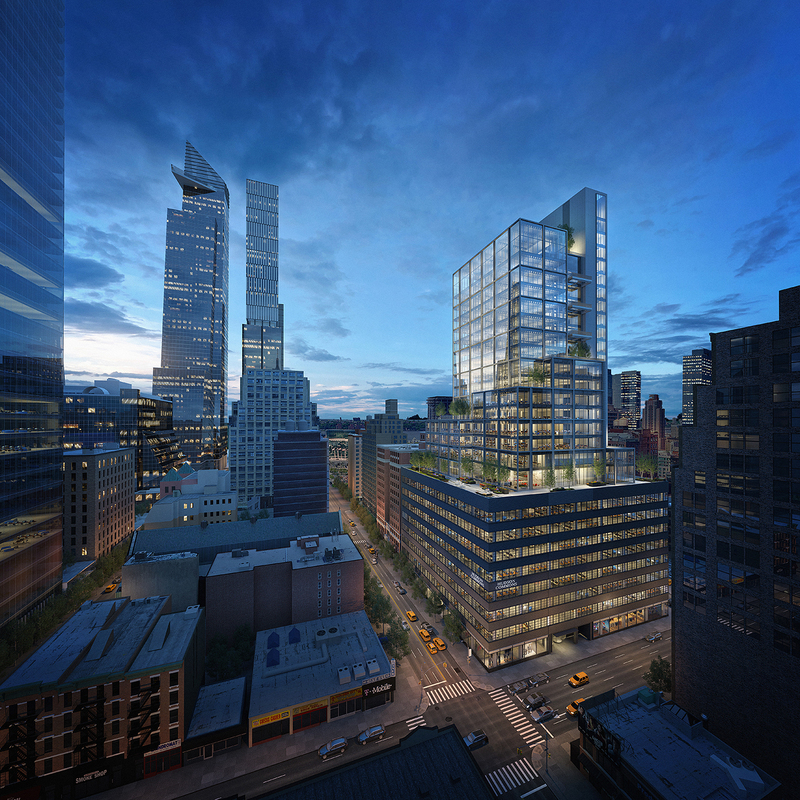 Winick Realty Group is marketing 14,693 s/f of retail space at the base of Hudson Commons, at 441 Ninth Avenue on the Northwest Corner of West 34th Street, where Peloton is set to open its 312,200 s/f state-of-the-art office in 2020. “With 50 million square feet of new development and 23,000 new residential units planned or under construction, the neighborhood surrounding Hudson Commons is one of the most dynamic, yet underserved, sections of Manhattan,” said Winick Realty Group president Steven E. Baker. Baker is working with Winick director Daniyel Cohen on behalf of landlord Cove Property Group to lease retail opportunities fronting Ninth Avenue, West 34th and West 35th Streets, ranging from 1,105 to 8,624 s/f. The retail offers 18-foot ceilings and excellent frontage. Venting is also possible, allowing for a variety of uses and configurations. “We are seeking best-in-class food-and-beverage and amenity retailers to cater to the needs of the incoming tech-focused entrepreneurs in the building, not to mention the more than 300,000 workers and residents in the surrounding neighborhood,” said Cohen. A 700,000 s/f fully-redeveloped Class A office building, Hudson Commons is surrounded by transportation options. Major transportation hubs like Penn Station, the future Moynihan Station, Port Authority and the new 7 train extension at Hudson Yards are all within walking distance of the property. Hudson Commons sits next to the entrance to the Lincoln Tunnel and on the route to the arrival and departure points for the popular Boltbus and Megabus.